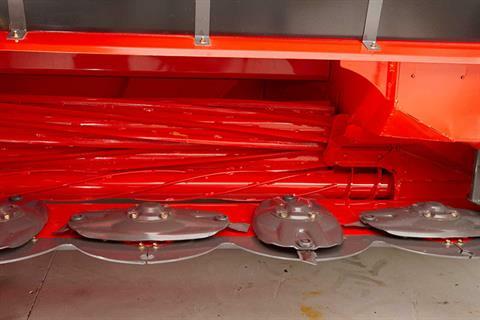 CRIMP NOT CRUSH: Hesston by Massey Ferguson razorbar disc headers are all equipped with steel on steel conditioner rolls to get the fastest dry down possible with the highest quality. Our philosophy is “crimp not crush”, so we only apply a crimp to the moist stem, while preserving the valuable leaf. 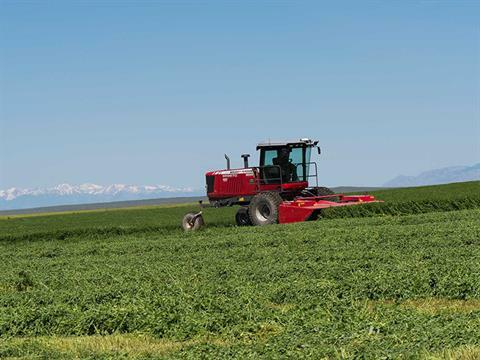 CUT THE TURBULENCE: Disc headers can create a lot of air movement that is troublesome for lighter crops. 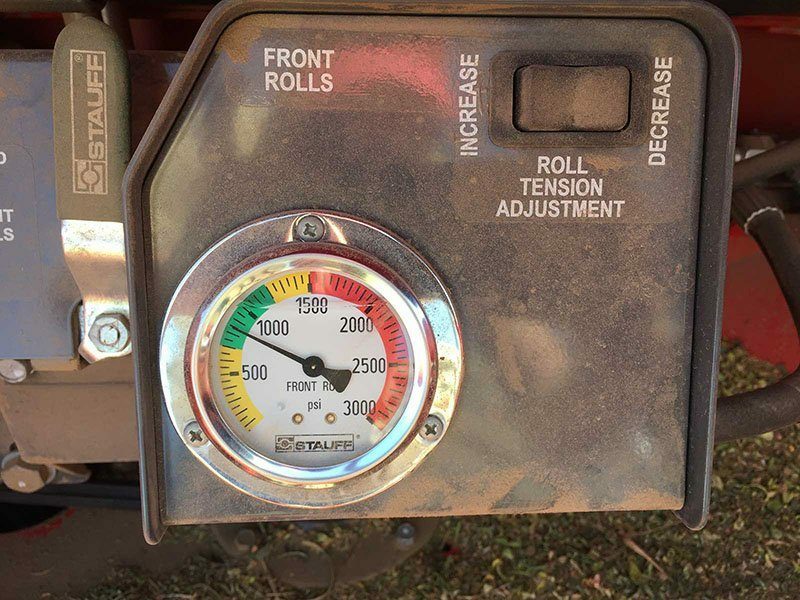 In order to ensure our headers perform well regardless of crop weight and density, we’ve included a turbulence reduction roll which helps minimize air movement and aides the feeding of the crop into the conditioner rolls. MATCH YOUR OPERATION: Our Razorbar Headers are available in 2 sizes, 13’ and 16’, giving you the versatility to fit a wide range of operations all over the place. Easily cut high quality alfalfa in Idaho, Bermuda grass in Oklahoma or biomass sorghum in Tennessee, all with the same head. 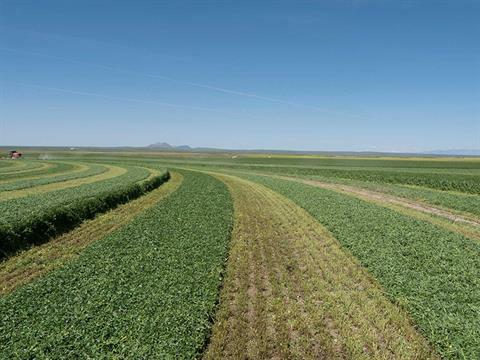 THE FINISHED PRODUCT: A consistent swath formation is key for optimal dry down. Our Razorbar headers always lay out a square-shouldered, even swath from side to side, maximizing surface area for ideal sunlight and airflow. Plus, swath delivery can be easily adjusted to meet the needs of any operation. NO WEAK POINTS: Where other headers have designed weak points for impact protection, we’ve taken the time to design our header to make sure it doesn't have any. Our 2-3 tooth to tooth contact design in our drive gears is strong enough to power through any field obstacles. 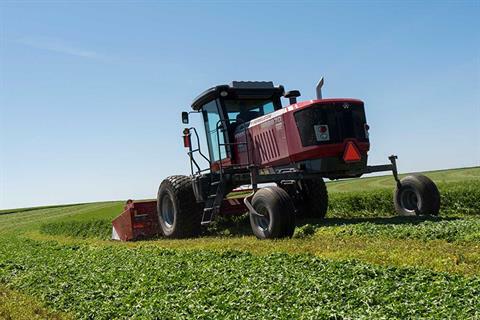 TAKE IT TO THE MAX: Improving dry down time means you can bale sooner, so you can beat that rain storm rolling in and achieve a higher feed value. With Twinmax you get a second set of conditioners to crimp crop every 1-2”, allowing more places for moisture to escape so your crop dries even faster. UNDER PRESSURE: Conditioner tension is essential for proper conditioning. We’ve incorporated a hydraulic roll tension system in our razorbar headers to provide consistent, repeatable performance, time after time. This allows you to only have to make a single adjustment for tension. CUTTING EDGE: Our Razorbar utilizes a common oil spur gear drive system that provides a low profile cutter bar to allow cleaner cutting, even at aggressive cutting angles. You won’t find scallops or streaks behind this header.